HAVANA – Men sit on the steps and play a hand of cards, women chat outside barred windows, stray dogs missing tufts of fur trot by. Taxi drivers call it the last stop in Havana. The locals call the neighborhood El barrio de Jesus María. 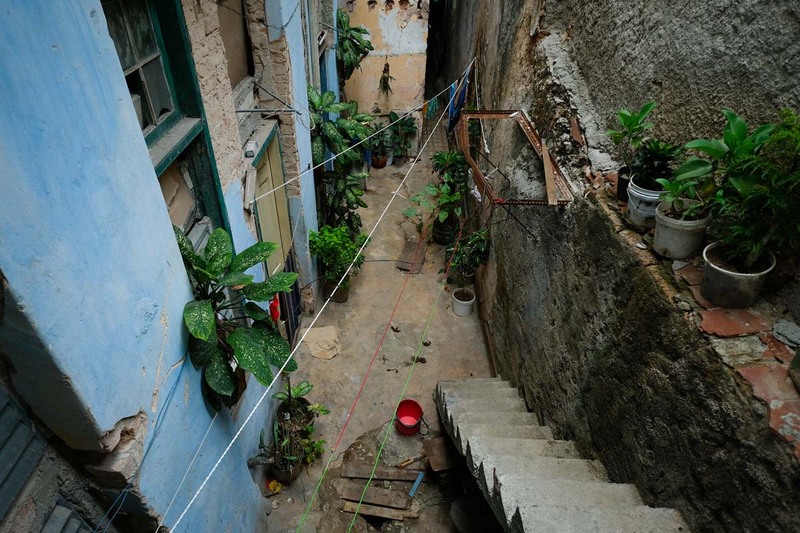 Up the steep concrete steps, a multi-generational family of seven shares a pastel blue apartment and the basic rations common in Cuba, including a sparse and potentially unclean water supply that sloshes around in a dark, old cistern just inside the doorway. Cuba seems like a water-rich country, with abundant rainfall, rivers crisscrossing the island and groundwater that bubbles up in turquoise springs. But it has always struggled to provide enough fresh water for its people. Part of the problem is that the water isn’t where the people are. While Cuba’s capital city is in the wetter western part of the country, its population of over 2.1 million means that it has less water per capita than many other regions. 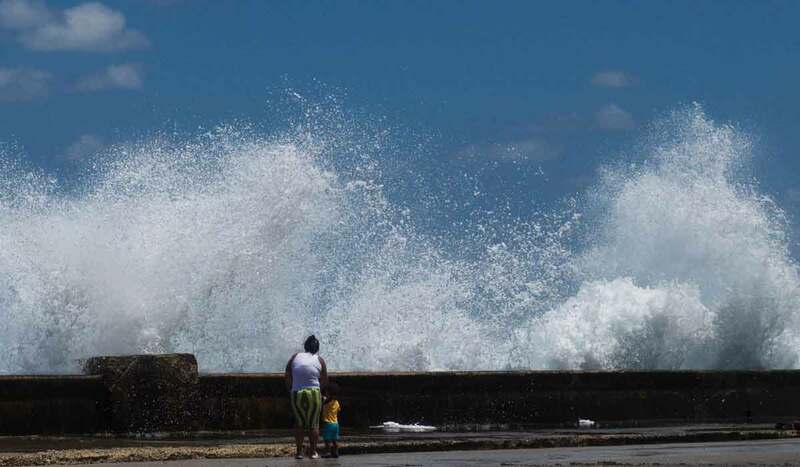 Atop distribution problems, Havana and other parts of the nation also lack sufficient infrastructure and water-quality treatment. The strain has worsened in recent years due to drought. Back inside the fading blue apartment, a bouncy 3-year-old cheers to the sound of Spanish-speaking trolls on the television. The little boy, called Diandro, grabs his stuffed Spiderman toy. “Es mi favorito,” he says. His neighborhood, made up of 120 to 150 blocks, has an open-air market for meat and fruit and a mini supermarket. The outdoor market opens at 10, but locals get there at 9 to make sure they can get enough food for their families. 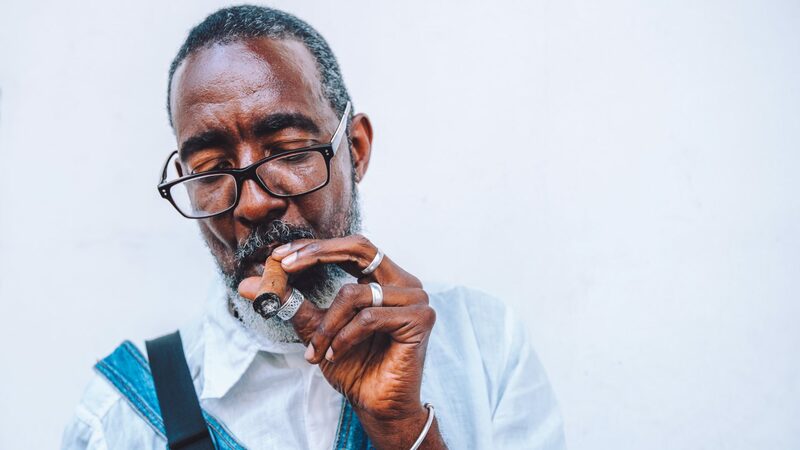 They live in southern Havana, on a street about a 20-minute drive from where tourists usually venture. Those who live here don’t have cars, and the buses don’t come to this neighborhood. Residents walk 16 blocks or more to work, or ride their bikes. The water in their makeshift well comes from government trucks, “las pipas,” when the neighborhood is in need. The family rations 10 buckets a day per person. After working 18 hours straight the day before, Yan Alvarez and his family squish into the front seat of an old Hino truck strapped with a large water tank. 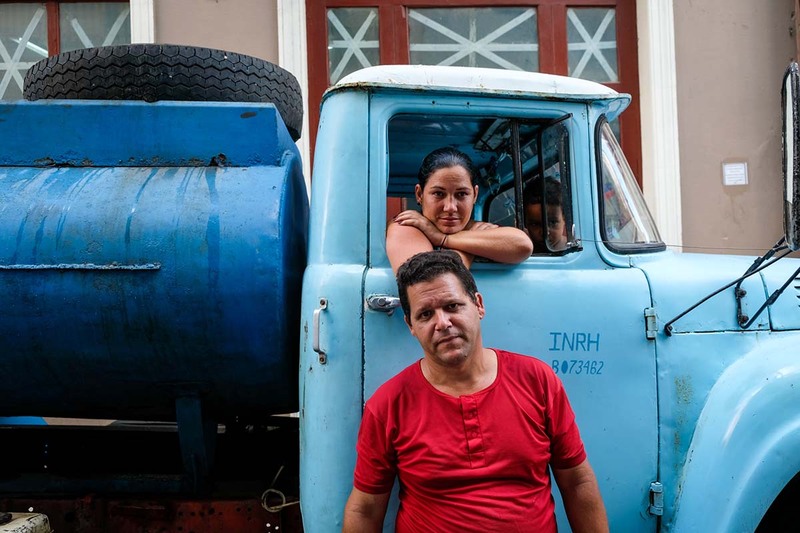 Alvarez’s truck is one of many “pipas” that travel around Cuba delivering water to locals. Today, he’ll have to drive to about 10 houses and apartments around Old Havana. Pipas stream onto a street by Ponton, the main conduit for Cuba’s aquaduct, with tanks that range from 6,000 to 20,000 liters. 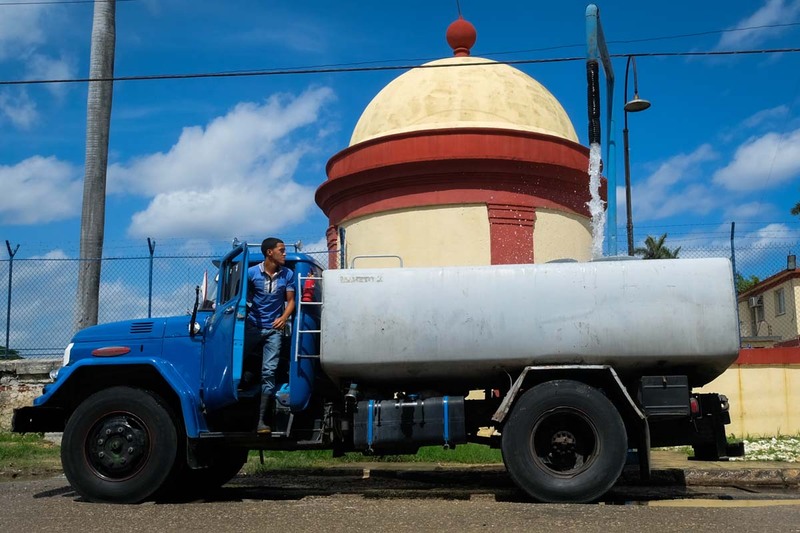 Pipas drivers come to the Aguas de la Habana to fill their dry tanks. They return to the water company every day, sometimes once in the morning and again in the evening at a separate water station across town. Safe drinking water is a commodity in Cuba, where tourists lug around bottled water and residents boil theirs. The pipas’ water has been treated with chlorine before distribution; however, calcium and heavy sediments still lace the water. Outside on a street called Aguacate, Yan pipes water into the home of Yanin Amaga, who waits for water to come every seven days. Amaga says if her neighborhood needs more water, they all have to call the water company. Only then will they come back. 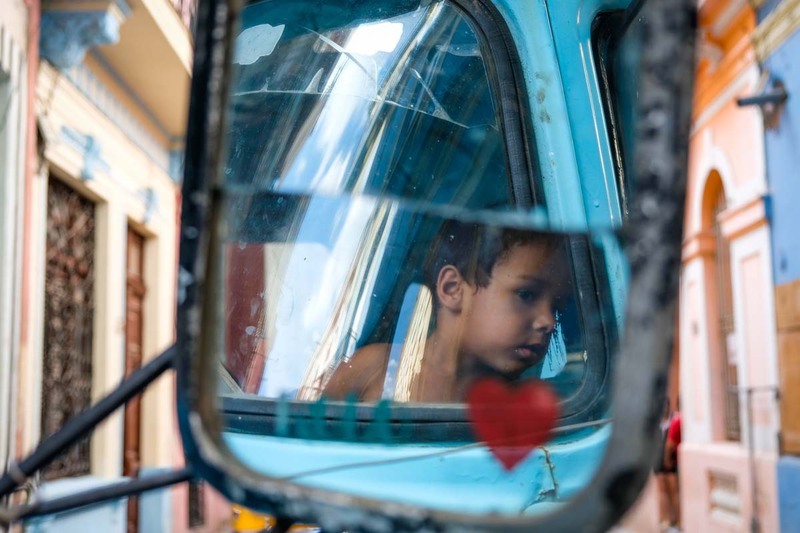 As his father works, 3-year-old Alejandro Alvarez hides himself from the streets of Havana as he guards the highway of hose pumping water into Yanin’s house. Filling her well will take anywhere from 20 to 30 minutes. In a home in Havana, this solario, or sun room, leads to a well shared by two families and seven people. Elena, a mother and provider for her family, struggles without faucets and pipes. All she has are buckets. 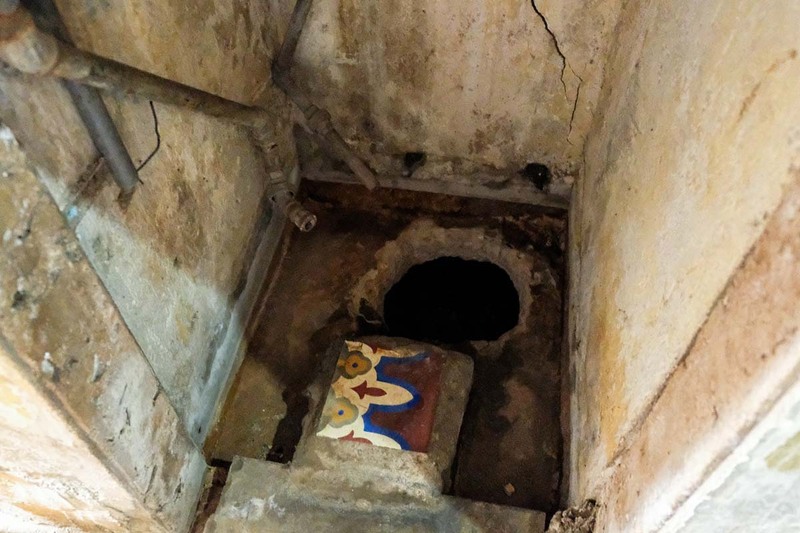 What family members call their “well” lies beneath cracked concrete in a damp, old cistern. The only way to reach it is by stooping into the cupboard-sized “room” and dipping a bucket into a dark hole. Eduardo and Elena boil drinking water every day. It takes 15 to 20 minutes to eliminate all the milky impurities. Elena says neighbors have been hospitalized because they drank the water without boiling it. The lava-hot water pot will sit on the steps to cool for another 2 to 3 hours. In that time, Elena and Eduardo will start dinner. They will wash beans, tomatoes and onions in well water. Then hope any impurities will cook away. Back in Old Havana, Alejandro sits with an ocean at his back. His father, Yan, and mother, Leonida, continue down the street in their pipa truck. The truck is old, Yan says. But the pipes in the ground are even older. In a home in Havana, this solario, or sun room, leads to a well shared by two families. The water stored there is shared by seven people. Elena, a mother and provider for her family, struggles without faucets and pipes. All she has are buckets. What family members call their well lies beneath cracked concrete in a damp, old cistern. The only way to reach it is by stooping into the cupboard-sized “room” and dipping a bucket into a dark hole. Each signifies at least 10 places where he must pump water throughout Old Havana. Each home takes 20 to 30 minutes to fill. “No llueve,” says the 40-year-old who has worked the job for seven years. The hefty man says he worked 18 hours the day before: 8 a.m. to 2 a.m. He pulls up his old truck to a pink apartment. Number 109 on a street called Aguacate. His wife, Leonida, guides him from the passenger side. He drags the long hose from the blue tank into the home, snaking around the truck and into the house of Yanin Amaga, who stands graciously at the door. Along with neighbors around the city, she says she looks forward to the day the water truck comes. Sometimes she must stretch her meager fill-up for as many as seven days before she sees Yan again. “Café?” She asks, bringing him a small mug with a saucer. As he sips his coffee, his 3-year-old son Alejandro, shirtless and wearing plaid swim trunks, hops out of the truck and trips in his blue rain boots. In the home at El barrio de Jesus María, Diandro’s Aunt Elena, her son Fabio and her boyfriend Eduardo live downstairs. All three share a room and a twin bed. Together, they make the equivalent of 20 Convertible Cuban Pesos a month as dance teachers. (About $23 USD at a recent exchange of $1 USD to 0.87 CUC). Outside the family’s room, natural light floods from a roofless hallway. To the right is the area the family calls the well, a crumbling cistern where they fill buckets of water for their daily needs: Cleaning. Cooking. Showering. Hand-washing. Dishes. And on Sundays, laundry. They boil water for drinking. If the pipas come when they aren’t home, they must call and bribe the truck people with money to come back, Eduardo says. In addition to their fill-up from the water truck, water also trickles in from the streets every day, topping off their supply. Eduardo, dark haired and charismatic, crouches into the well. Placing a red bucket into the hole, he tugs up the splattering water. When the water level gets too low, the family members hoist it up with a cable. To have running water, the pipes would cost the family $150 to $200 CUC. (About $172 to $230 USD). That’s more than Eduardo and Elena make in a year as dance teachers. He fills a pot and lugs it to the stovetop, turning the knob. As the gas kicks on, the blue light flickers. The gray water sizzles; floating specks of sedimentary rock, calcium and chloride swirl around. 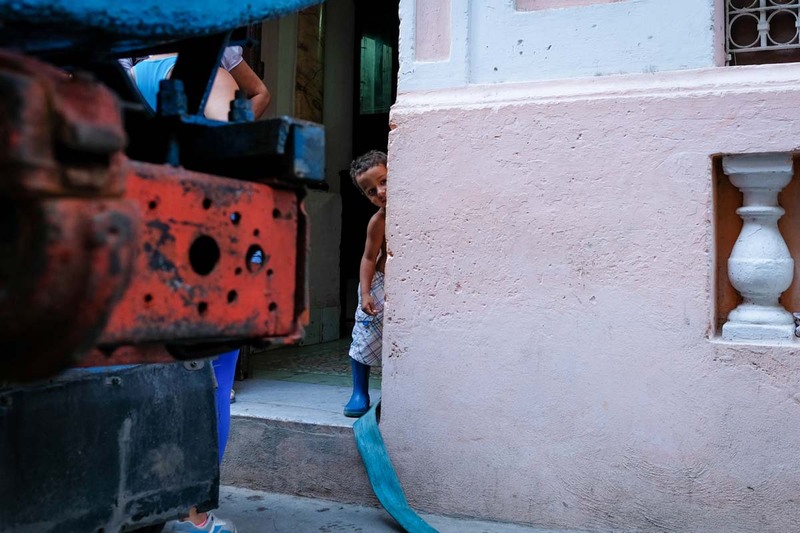 Outside the Aguas de la Habana, where Yan and the other Las Pipas drivers refill their water tanks, workers in rain boots and long pants twist a rusty wheel. Water spouts into four trucks simultaneously. It cascades down the sides and drips onto the road. Not all fills the yellow, blue and green tanks; some is lost in mud puddles on the street. 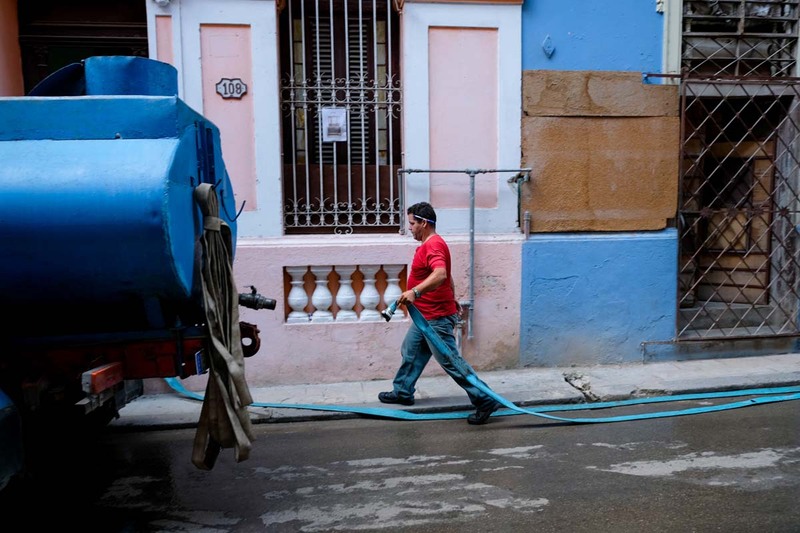 All over Cuba, water is also lost through leaking pipes, adding to the problems with water supply. The smell of gas permeates the air as a blue truck with a dolphin on the back hums by. It holds 8,000 liters. The other trucks hold 10,000. Some 12,000. Each heads throughout the city to homes in need of water. Families are encouraged to boil it for safe drinking. 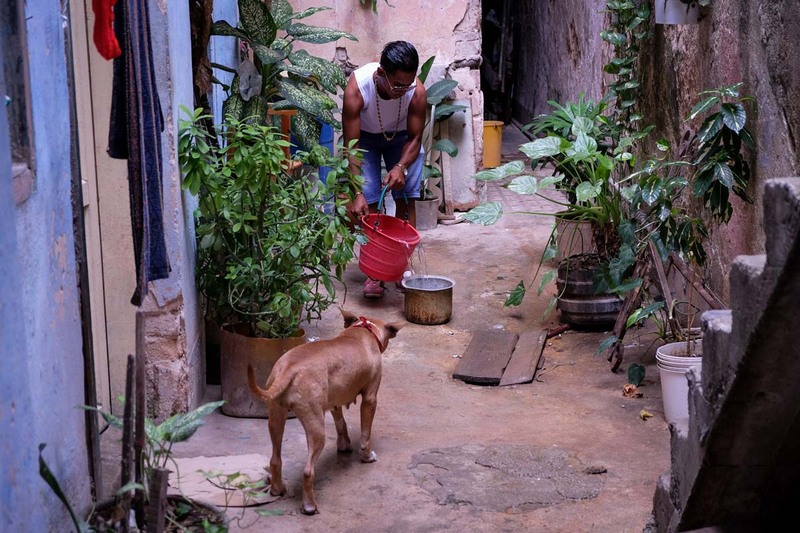 Outside a home down the street, two men wear navy shirts that read “Aguas de la Habana.” Prying up a sewer hole with a lit cigarette between his teeth, one of the men shakes his head. There are 20,000-liter pipas, too, and they go straight to the hotels, he says. While Cuban residents ration, tourists drink bottled water by the liter and take hot showers as if they’re at home. 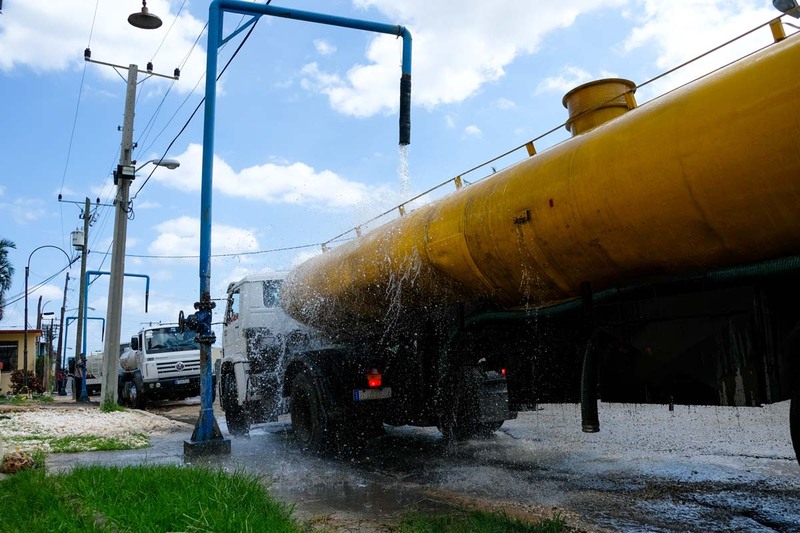 The Cuban government has been working to build new water supply infrastructure around the country. But it hasn’t been enough for people in Havana and other cities. 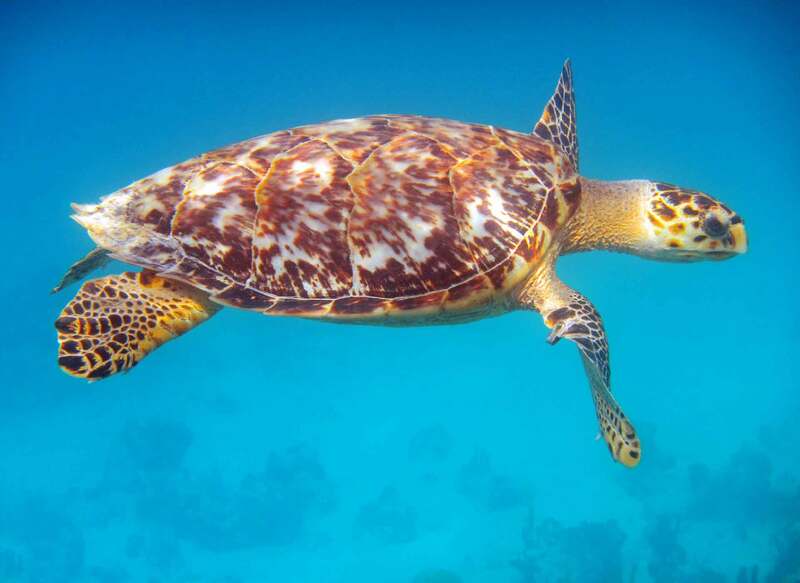 The more important strategy long-term is to protect Cuba’s natural water resources and ensure the growing tourist industries use water wisely and help fund sustainable solutions, says Roberto Pérez Rivero of Cuba’s Antonio Núñez Jiménez Foundation for Nature and Humanity, a scientific nonprofit. Back at the apartment, the water is still bubbling on the stove. Elena grabs a handkerchief and carries the steaming water to the cement staircase to cool. They can drink it in two hours. She grabs a lid to one of the water buckets and uses it as a cutting board. She wraps her fingers around a handle-less knife and chops tomatoes with the blade, her curly dark hair framing her face. She tosses a tomato slice into the air. Her pit bull Mentira jumps up to catch it. She grabs a handful of black beans and dips them into the water to wash, holding them out in her palm. The color contrasts with the turquoise on her nails. “Me encanta mi país,” Elena says. “Pero … Cuba le falta todo,” she says. Elena waits for her water to boil.